The year 2016 just flew by, didn’t it. 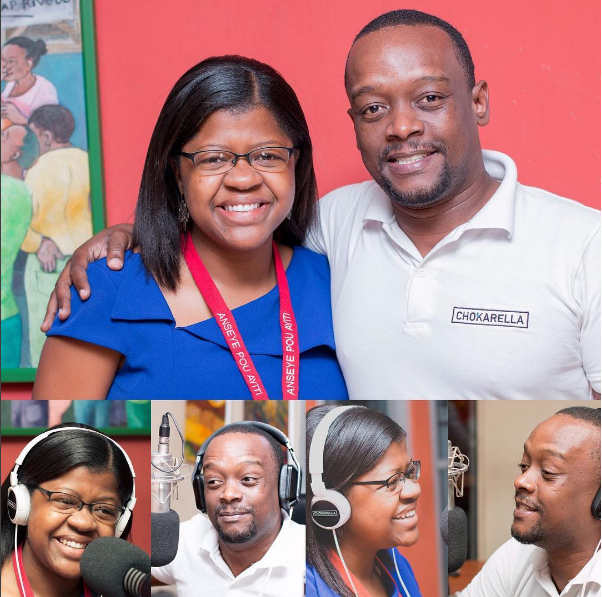 Haiti-based radio host Carel Pedre’s year was very eventful. Let’s see how it went for the multimedia personality. Here is the host posing with a fellow media personality at the Montreal Black Film Festival. He was a jury member for this year’s edition of the film fest. A fan presents the host with a framed illustration in his likeness. With Nedgyne Louis, the founder of Anseye Pou Ayiti, a non-profit based in the United States and Haiti that’s focused on Haitian education reforms. In May, Pedre left Haiti for the United States to join several other journalism professionals from other countries for the IVLP program, conducted by the Department of State. The multimedia host poses at the ABC offices. The host covering the West Indian Labor Day Festival in New York. The multimedia host, who’s also an avid techie, held a Haitian Creole workshop to teach others how to make the best of livestreaming. Taking on co-hosting duties for his podcast show De Tout et de Rien (Everything and Nothing) with co-host DJ K9. With a host of guests for an edition of his morning show “Chokarella”. The Olympics was one of the most-discussed topics by #TeamHaiti. Here, Pedre poses for photos with one of the Team Haiti Olympics participants. Hanging out with some fans! Pedre closed off the year with more than 149,000 followers on Instagram, and with nearly 100,000 followers on Twitter, not to mention the 200,000+ who follow his personal page and his radio show’s Facebook page. When all his social platforms are tallied up, he has a reach of more than a quarter of a million. What will the year 2017 bring for the multimedia personality? 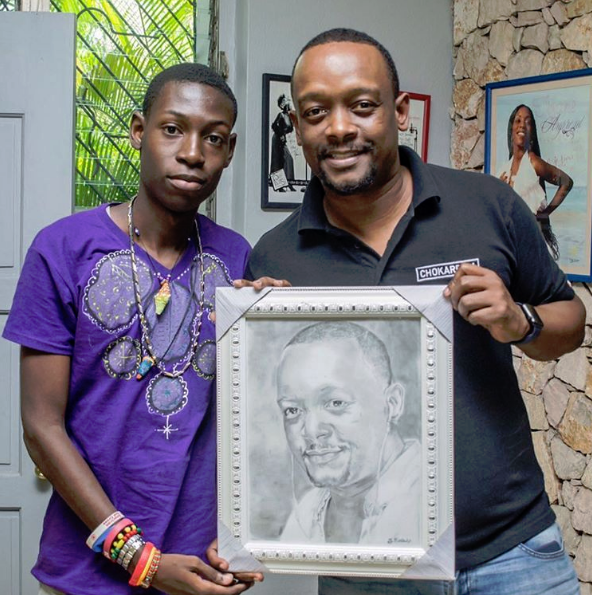 Be sure to check out radio host Carel Pedre’swebsite| and be sure to keep up with him on Twitter and on Instagram!